It feels like moving a mountain, doesn’t it? You have dozens — maybe hundreds — of senior executives you are trying to get to participate in social media. It’s one of your key initiatives, but you’re not making the progress you hoped for. Everyone agrees social media is a good idea. These are your company’s thought leaders. They speak at industry events and get quoted in the media. Customers and prospects pay close attention to what they say, and junior team members deeply respect them. You know they could make a major contribution in social media. You’ve provided training. You’ve offered resources, checklists, templates, shortcuts, samples, archived webinars, videos, and more. But senior executives are extremely busy, and it’s not happening. Announce that you are launching a pilot project and will give special assistance with social media to 10 executives. The people who are most interested will step up. 2. Give them a strong starting point. It’s easier to be active in social media when you know you look good. 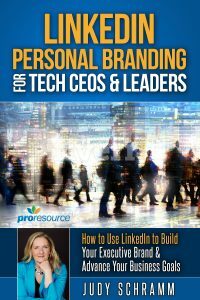 Have a professional writer interview each executive and give them a complete and polished LinkedIn profile. Also, make sure that they have a professional and flattering profile picture. If your company doesn’t already take headshots, hire a professional to take photos. Everyone who is new to social media has questions and concerns. Give execs a chance to get their questions answered privately. Personal coaching also alleviates their worries about making a mistake. Have senior execs work with a coach who will show them how to use social media to make progress on one of their key initiatives. When people have a purpose (and a goal) for being in social media, they can justify the time. 5. Keep time demands minimal. Start with small steps. Ask execs to follow key partners and customers, and then put 2-3 minutes a week into liking and sharing posts made by their connections. If you want them to blog, ask senior execs to discuss the topic via a phone interview with a writer, who will draft, edit, and revise the blog post. Like and share posts made by these senior execs. Recognize their accomplishments in social media with internal publicity. When other executives observe their peers’ success, it becomes much easier to get the next group of executives on board. They can see that social media is not only safe, but that it doesn’t take as much time as they thought. They also have models to follow, examples to copy, and they can see the rewards of investing their time and effort. One by one — or group by group — senior execs will experience the power of successful social media. And before you know it, your mountain has moved. 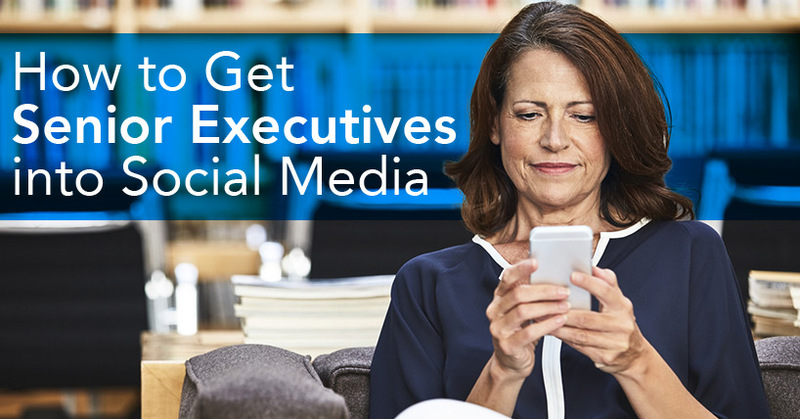 If you would like help moving your company’s executives into social media, we can support you with LinkedIn profile makeovers, blog copywriting, or social media coaching for your executives. 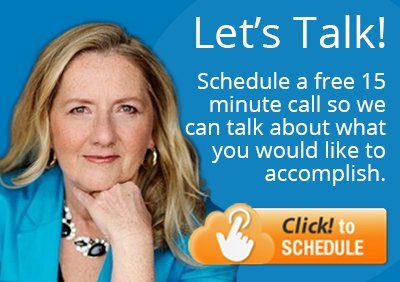 Schedule a 15-minute call to see if we can help. Lots of good ideas here but I’d come at it from a different angle. I’m not really sure that getting those senior execs to participate in social media directly is necessary or a good use of their time. I think it’s actually better to hire a dedicated marketing team to do social media work and leave the senior leadership to do what they do best! While it’s certainly not for everyone, senior execs are often better equipped to provide thought leadership or industry insights than the marketing team. It would definitely help marketing with content if their leadership was able to provide ideas for a blog post, even if it was every once in a while! It absolutely depends on the business though. Thanks for sharing your thoughts!